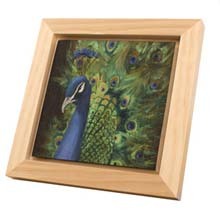 Our panel floater frames are solid wood that work great on Ampersand painting panels. They can be used on any panel that is 1/8" to 1/4" thick. The sizes listed are the panel sizes. 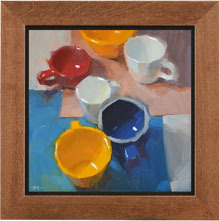 We cut the frames so the they have a bit of reveal around your art (1/8" to 3/16"). Order in bundles and save 25%. 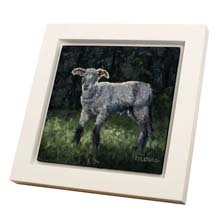 Natural panel floater frames work great on Ampersand painting panels. But can be used on any panel that is 1/8" to 1/4" thick. The moulding width and height are 7/8". The sizes listed are the panel sizes. We cut the frames so the they have a bit of reveal around your art (1/8" to 3/16"). Order in bundles and save 25%. 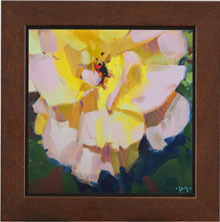 Black panel floater frames work great on Ampersand painting panels. But can be used on any panel that is 1/8" to 1/4" thick. The moulding width and height are 7/8". The sizes listed are the panel sizes. We cut the frames so the they have a bit of reveal around your art (1/8" to 3/16"). Order in bundles and save 25%. White panel floater frames work great on Ampersand painting panels. But can be used on any panel that is 1/8" to 1/4" thick. The moulding width and height are 7/8". The sizes listed are the panel sizes. We cut the frames so the they have a bit of reveal around your art (1/8" to 3/16"). Order in bundles and save 25%. 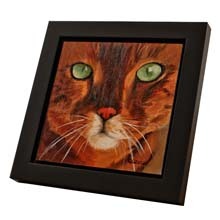 Brown panel floater frames work great on Ampersand painting panels. But can be used on any panel that is 1/8" to 1/4" thick. The moulding width and height are 7/8". The sizes listed are the panel sizes. We cut the frames so the they have a bit of reveal around your art (1/8" to 3/16"). Order in bundles and save 25%. Red panel floater frames work great on Ampersand painting panels. But can be used on any panel that is 1/8" to 1/4" thick. The moulding width and height are 7/8". The sizes listed are the panel sizes. We cut the frames so the they have a bit of reveal around your art (1/8" to 3/16"). Order in bundles and save 25%.